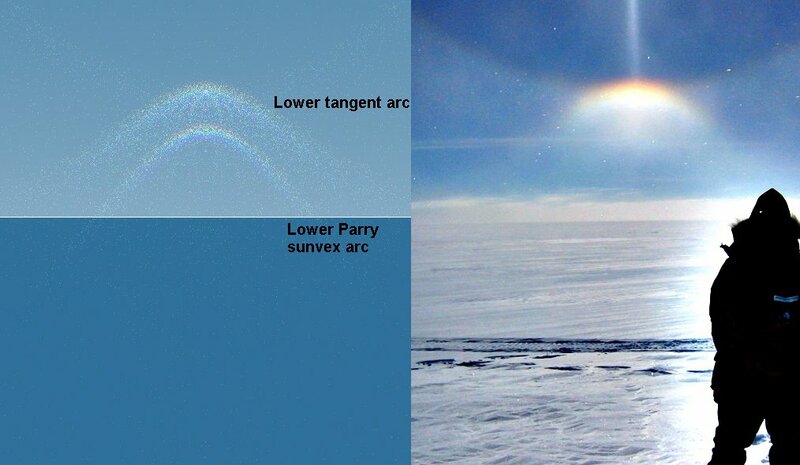 Joe MacGregor observed very rare Lower Parry sunvex arc in Antarctica. Joe say: "The photo was taken about January 19, 2006 somewhere within ~100 km of 79S, 117W. It was taken with a point-and-shoot Canon S230." More photos halos are here. Simulation is made with Halosim by Les Cowley and Michael Schroeder. This Sun display with Lower Parry sunvex arc is probably second case of the World. Nice halo photos on Joe's page.